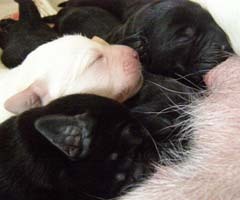 Labrador retriever puppies were born! Sire of our pups-beautiful and gallant "Englishman"
We were very much waiting for these puppies! Girls-7 black & 1 yellow.